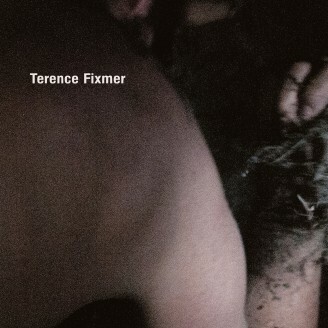 There's few names that have left their mark on electronic music throughout time like Terence Fixmer did. The French producer has been releasing music since 1993 most notably under his own name, but also with his music wise wide-ranging alter egos Eisbär, Cyborg, Gemini 9, Scanner and – together with Nitzer Ebb’s Douglas McCarthy – as Fixmer / McCarthy. It’s thanks to people like him that Electronic Body Music eventually traversed towards contemporary club contexts and now remains being a defining part of dancefloors in general, or a Klubnacht in particular. By combining the aesthetics of EBM, Electro and Industrial music with the rhythmics of Techno, Fixmer coined and occupied his very own musical niche as a producer and live act. At Ostgut Ton we’ve always been intrigued by Terence’s production style, his use of hard synth lines, guttural vocal samples, sharp-edged hi-hats, or to cut the matter short: his deep, glowering approach to sequencer Techno with EBM jabs. Therefore it’s great seeing him continue this path with four new tracks on the Beneath The Skin EP, following up on 2015’s Aktion Mekanik Theme Versions that featured remixes of the Music Man Records classic “Aktion Mekanik Theme” by Ostgut Ton's Kobosil, Marcel Dettmann and Norman Nodge. As aforementioned Beneath The Skin comprises the various musical facets of a Klubnacht: dark, pounding slaps and discomforting yet soaring synths (“Beneath The Skin”), Acid Techno modulations and lone voices in the dark (“Trace To Nowhere”), hypnotic synth progressions and ambient textures (“Devil May Care”) and finally some rest and soothing (“Immersion”). Terence Fixmer debütiert mit der Beneath The Skin EP auf Ostgut Ton. Wir von Ostgut Ton waren stets fasziniert von Fixmers Produktionsstil, seinem Einsatz harter Synthlines, gutturaler Stimmsamples, scharfkantiger Hi-Hats, oder um es abzukürzen: seinem deepen, grollenden Sequencer-Techno-Ansatz mit EBM-Stichen. Deshalb sind wir hocherfreut, dass er diesen Weg mit vier neuen Stücken auf der Beneath The Skin EP geht und damit auf die Single Aktion Mekanik Theme Versions (Ostgut Ton, 2015) anknüpft – auf der man Remixes seitens der Ostgut Ton-Künstler Kobosil, Marcel Dettmann und Norman Nodge von Fixmers Music Man Records-Klassiker „Aktion Mekanik Theme“ hörte. Wie gesagt vereint Beneath The Skin die unterschiedlichen musikalischen Facetten einer Klubnacht: Düstere, hämmernde Schläge und unbehagliche aber erhebende Synths („Beneath The Skin“), Acid Techno-Modulationen und verlorene Stimmen im Dunkel des Raums („Trace To Nowhere“), hypnotische Synth-Progressionen und Ambientflächen („Devil May Care“) und schließlich: Ruhe und Linderung („Immersion“).